Australian company Stadvis is to commercialise an automated instrument developed at CSIRO that accurately predicts glycemic index and resistant starch in food products. Australian company Stadvis has signed a worldwide license agreement to commercialise an instrument developed at CSIRO that accurately predicts glycemic index (GI) and resistant starch (RS) in food products. The machine will allow the food industry to test new foods more quickly and cost-effectively than the in-vivo (human) method currently used. Until now, predicting GI involved feeding food to a number of human volunteers and taking regular blood samples over the following hours to monitor changing blood-sugar levels. The new machine replaces this expensive and time-consuming process. 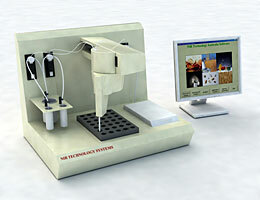 CSIRO claims that the GI and RS analyser is the first of its kind in the world. The prototype, which works by mimicking the human digestion process, was originally developed to test the properties of new grains. Dr Bruce Lee, director of the Food Futures Flagship, said the agreement to commercialise the product will help address the growing global demand for foods with defined health benefits through low GI and higher fibre content. Lee said: ‘Its principal purpose is to help food manufacturers develop a wider range of healthy food products far more cheaply and quickly than previously possible. This is a great idea. Could please give me some more details regarding how much the instrument will cost in dollars or sterling pounds?